Siphoning off precious groundwater to sell in plastic bottles does all kinds of wrong. Canadians are waking up to a two-pronged water supply and environmental disaster. For ridiculously low prices, companies can take millions of litres of our groundwater that, while abundant now, could be desperately needed down the road by communities with growing populations affected by drought conditions driven by climate change. The other part of the equation is the water is bottled in plastic – an environmental disaster that chokes our landfills, kills life in oceans and wreaks many other kinds of havoc. In Ontario, the fight for our water supply has been sparked by multinational powerhouse Nestlé outbidding a small municipality for rights to water that it will use to guarantee the supply of millions of litres it already draws daily and sells back to consumers in plastic bottles. Already bottling up to 3.6 million litres of water a day at its nearby Aberfoyle operation, Nestlé bought another well from the Middlebrook Water Company last August. Even though it was outbid by Centre Wellington – seeking to ensure its community water supply – Nestlé won the bid because it had the right of first refusal, which it exercised. Maude Barlow, the head of the Council of Canadians, points out that all in the wider area, including the city of Guelph, are nervous about how such unbridled access could have an impact on their future. Many parts of southern Ontario and British Columbia have recently faced drought conditions. Yet Nestlé, a giant bottled water corporation, continues to pump millions of litres of water from watersheds in Wellington County, Ontario and Hope, British Columbia. Groundwater resources are finite. Droughts, climate change and over-extraction continue to impact our limited water sources. At this pace, communities will not have enough for their future needs. Water is a human right, commons and a public trust, to be shared, protected, carefully managed and enjoyed by all who live around it – not a source of profit. 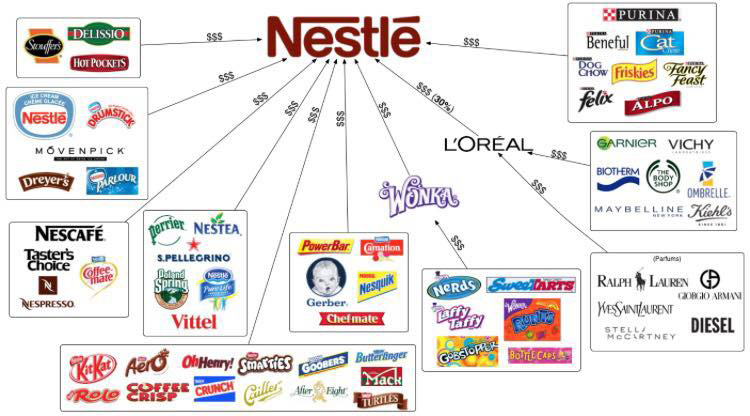 Let's stop Nestlé from profiting from water. Together, we can ensure our water is protected for generations to come. One of the things angering local residents and concerned Canadians generally is the token price put on our water supply. Ontario was charging companies a paltry $3.72 for every million litres of water, after paying a permit fee of $750 for low- or medium-risk water takings. British Columbia charges $2.50 per million litres and in Quebec it is $70. If you agree, and if you believe we must be allowed to manage or freshwater supply for all our long-term good, then boycott Nestlé and let government know how you feel.